Davido was livid after a fanatic attacked his girlfriend, Chioma Avril. The musician went crazy and told the fan 'F-ck you'. 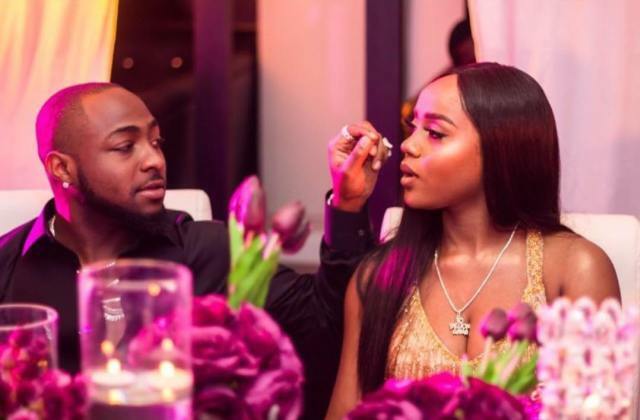 The incident began after Chioma reacted to a photo of Davido using emoji love. However, the fan with the handle, allisa_blogger reacted by calling Chioma foolish. 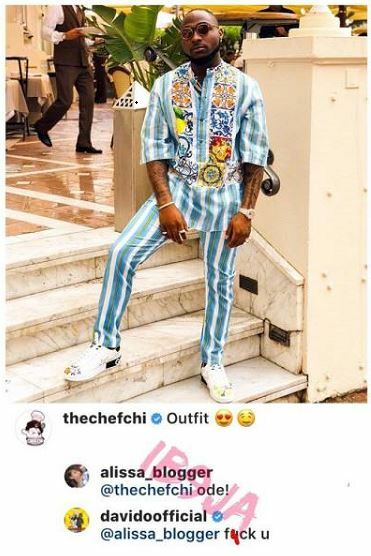 Davido did not find it funny and he returned the shot to the fan. However, many people have said that the musician should have kept calm instead of rolling in the mud with the fan.